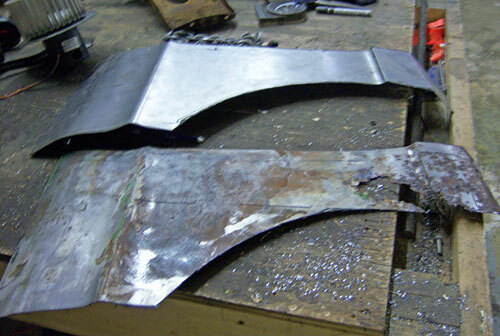 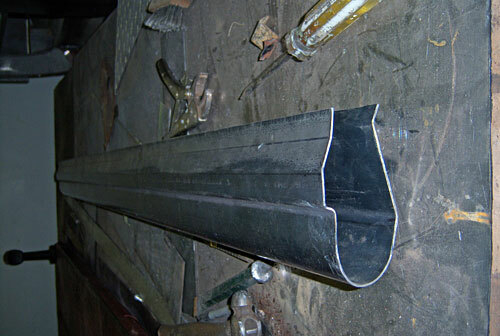 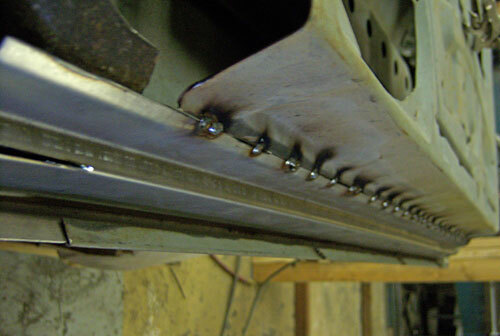 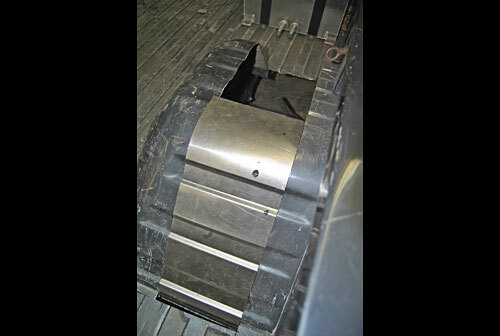 We at Steel to steel offer a wide range of custom fabricated parts for your specific need. 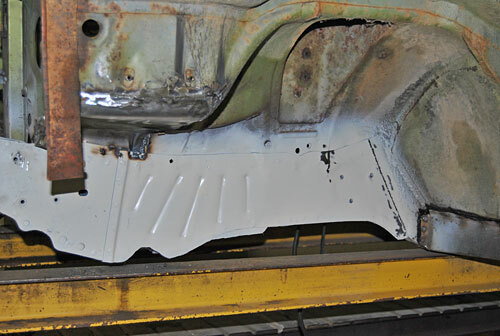 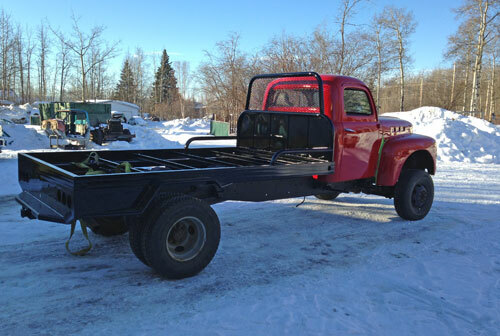 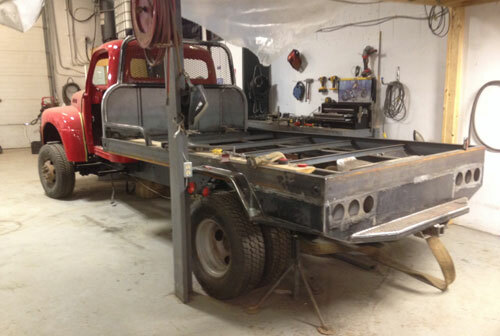 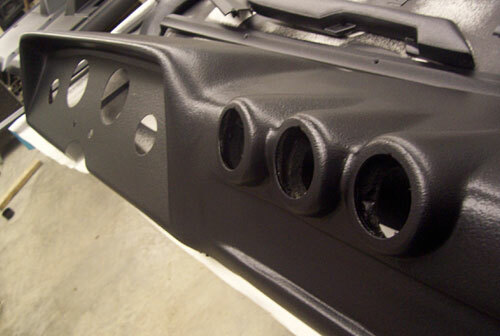 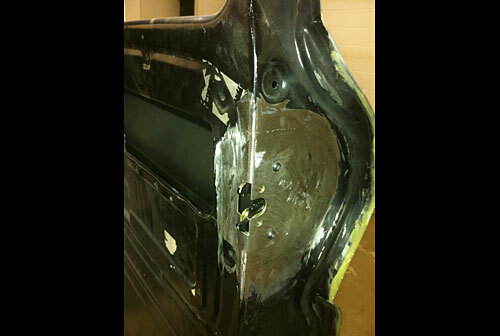 We can fabricate or repair auto body parts that are no longer available for your vehicle or build a custom piece to fit your design. 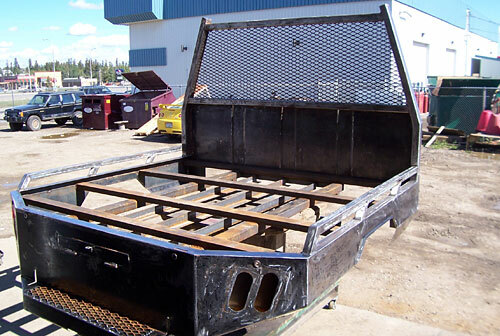 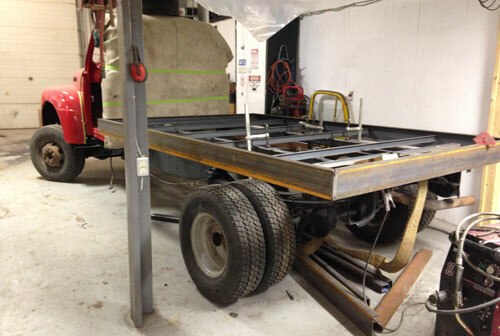 Parts that we currently offer include, roll pans, licence box, battery boxes, filler panels, shaved tailgate panels, and box sides. 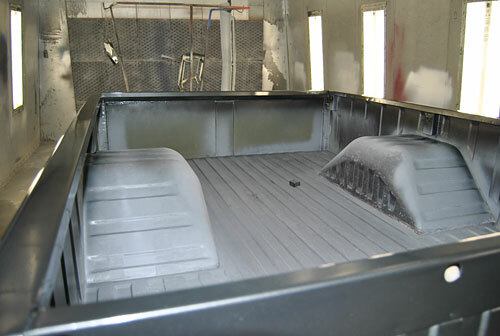 If you have a specific need please email or call us with the details and we will do our best to help you. 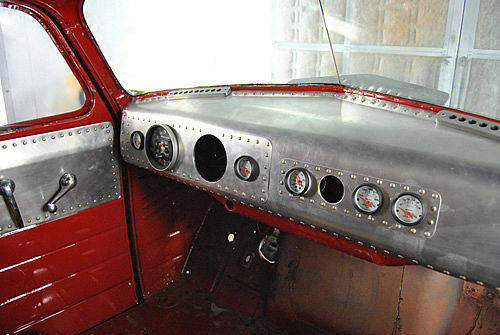 Custom built aircraft style aluminum dash and door panels. 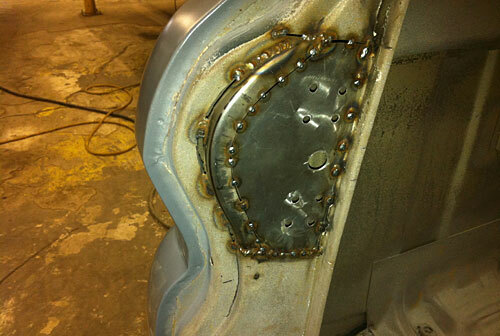 Joining new fabricated piece to fender. 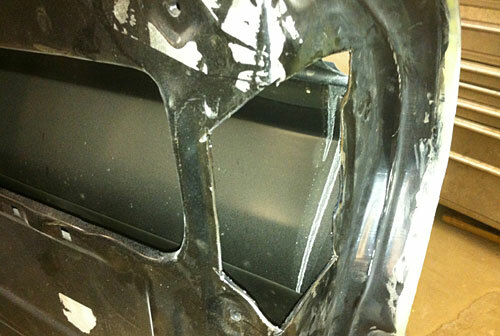 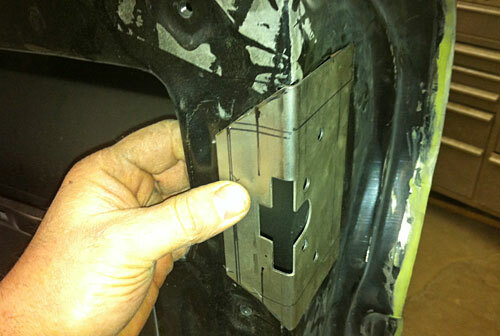 Unavailable Fender piece against new fabricated piece. 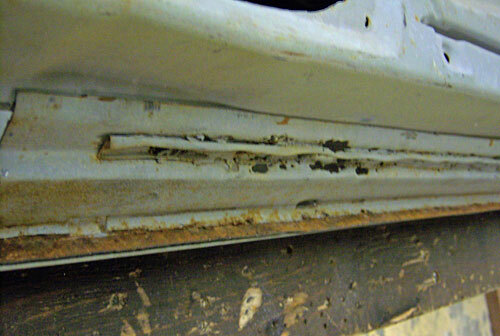 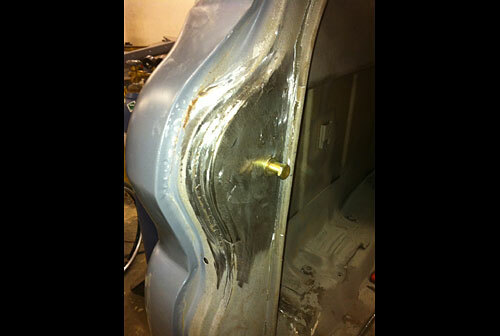 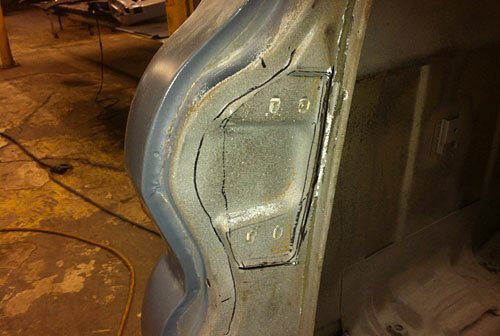 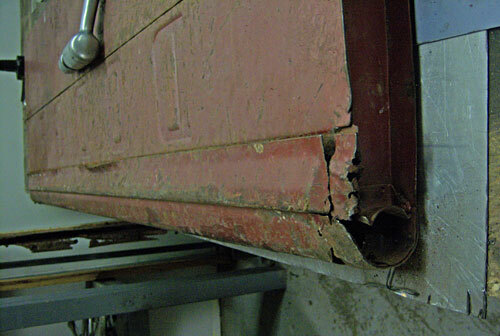 Mustang door new fabricated piece repair. 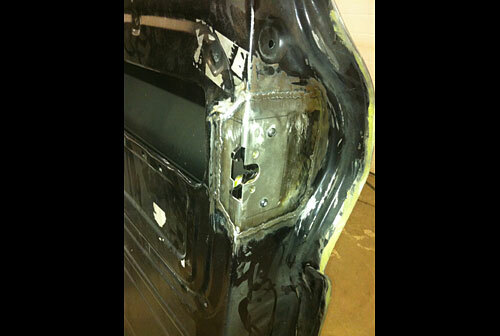 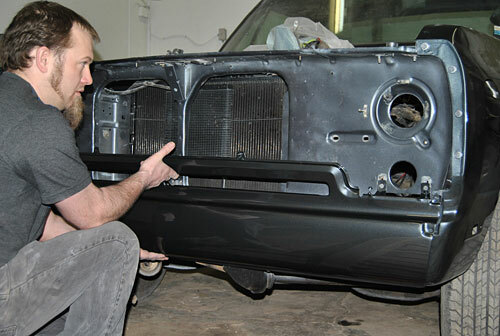 Mazda Rx Unibody custom fabricated piece repair. 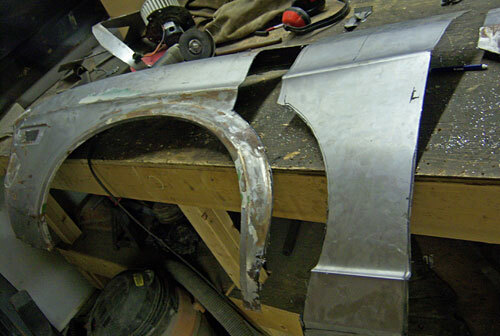 Fitting new custom fabricated piece for tubbed box. 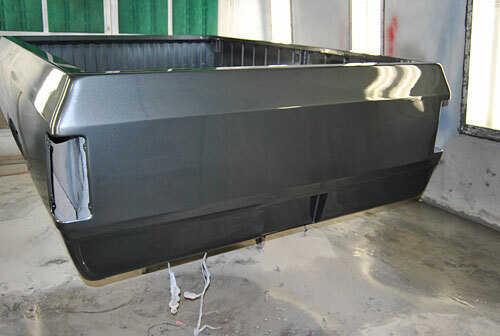 Custom fabricated front roll pan.